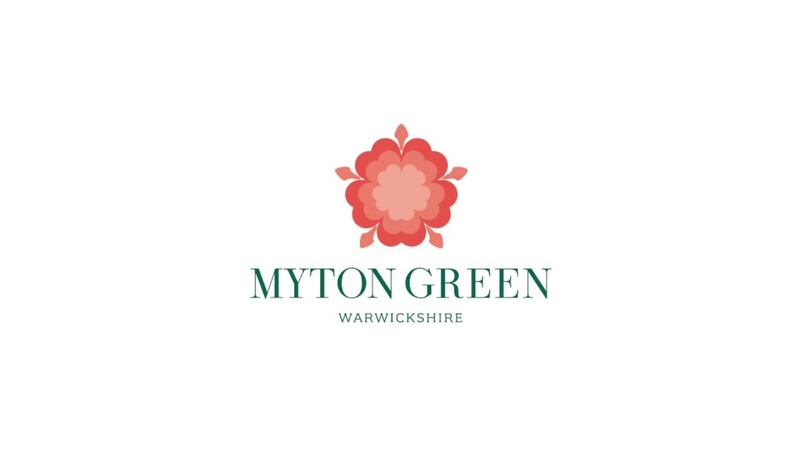 Catesby Estates plc are working with the landowners of Myton Green a 96 acre site off Europa Way, Warwick which has consent for 735 new homes. Catesby Estates are enabling future development by the provision of infrastructure facilitating the delivery of much needed new homes to the area. Work began in earnest onsite in early June, with the start of the highway improvements to Europa Way following closely behind in July. The works are expected to last approximately 56 weeks. Initial work has included stripping off topsoil and subsoil materials, so the ground can be profiled to the correct levels for roads and landscaping areas. Approximately 75,000m3 of soil has been moved to date, and the majority redistributed within the site to provide landscaped areas. Exceptionally dry conditions, has meant we have made good progress on the earthwork operations. Earthwork activities are continuing to complete the profile of the landscape areas. On Europa Way the alignment of the new carriageway is being formed and the Statutory Authorities are diverting cables into the new verges to allow for the new road to be constructed. Installation of new foul and storm water sewers along the spine road to service housing plots. 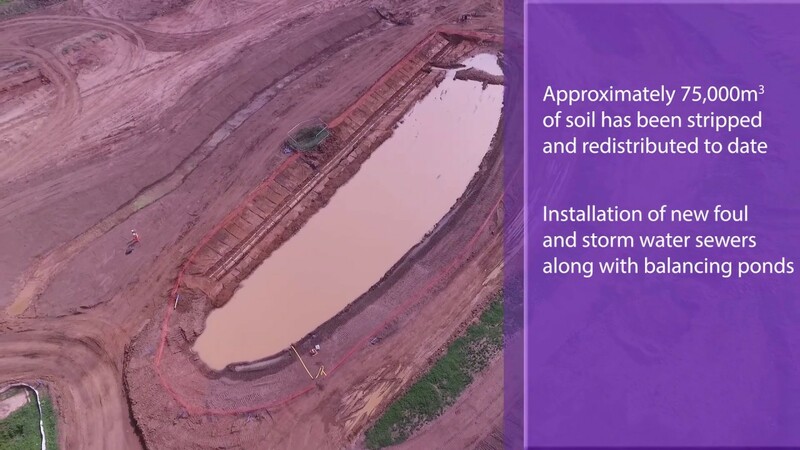 Balancing ponds are being formed, to store storm water in periods of heavy rain. This will allow the water to enter the existing system at a controlled rate preventing flooding. New pathways and cycle routes will be formed which will run around the whole perimeter of the site and through the ‘green corridor’. The demolition of the farmhouse is programmed for late September/early October. 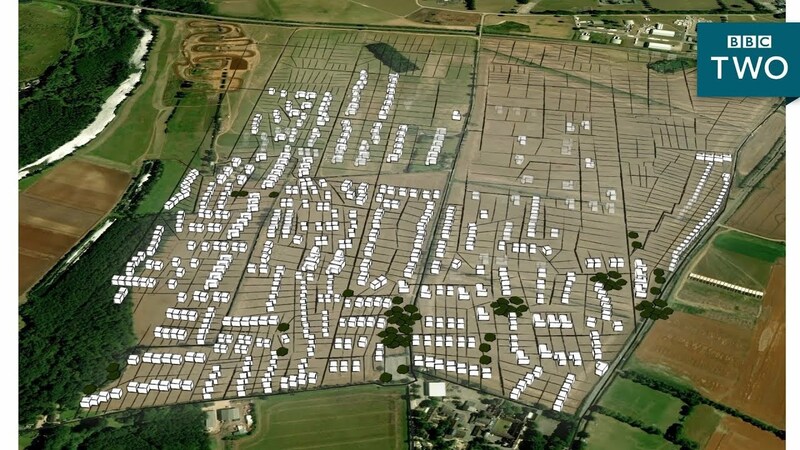 There is planning consent to utilise Saumur Way as vehicular access for up to 70 plots. The latest plans demonstrate a cycling and pedestrian link only with vehicular access to this parcel connected to the new internal spine road and on to Europa Way only. However the option to use Saumur Way is still available. A new community notice board will be installed on Saumur Way at the boundary with the site. This will display details of the site, contact details, newsletters and progress photos.